New Books – New books on the Seven Day Shelf this week are: “Racing to the Finish-My Story” by Dale Earnhardt Jr.; “Dark Sacred Night” by Michael Connelly and “Kingdom of the Blind” by Louise Penny! Come on in and browse through all of the great books on the Seven Day Shelf! While police suspect Jeff of “instant divorce,” Emory, suffering from an unexplained head injury, regains consciousness and finds herself the captive of a man whose violent past is so dark that he won’t even tell her his name. She’s determined to escape him and willing to take any risks necessary to survive. Combining the nail-biting suspense and potent storytelling that has made Sandra Brown one of the world’s best-loved authors, MEAN STREAK is a wildly compelling novel about love, deceit, and the choices we must make in order to survive. Sleepy Time Story Time is an interactive program and parents must accompany their children. Children can wear their jammies and be comfy and cozy! Our next Sleepy Time Story Time is scheduled for Tuesday, December 11th, 2018! Our story will be “Santa’s Little Helper” by Anu Stohner! We will make a great craft and enjoy a tasty snack. This is a free program and no registration required. Hope you can join us for Sleepy Time Story Time! Music Night Come on out to the Wawa Public Library on Wednesday, December the 12th from 6:00 pm until 7:00 pm for the Wawa Public Library’s Music Night with the Women in Song featuring Paula, Kelly and Cynthia! There will some great holiday music plus a few other favourites! Come and enjoy a coffee and treat and some great music! Everyone is welcome! This is going to be a great night so be sure to mark it in your calendar! Donations to the Wawa Public Library gratefully accepted! After School Program has begun. This program is open to children up to the age of 13. Children aged 5 and under must be accompanied by an adult. We will have Story and Craft Club, Clay Club, Drawing Club and Game Club. 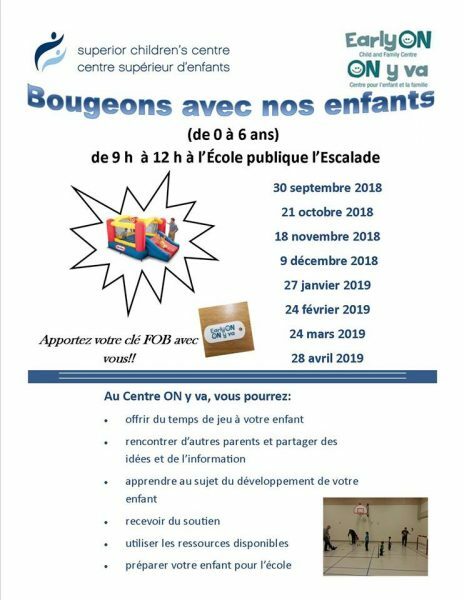 Come into the Wawa Public Library to pick up a registration form and for more information call Suzie at the circulation desk at 705-856-2244 ext 290. The number of children will be limited to 10 for Clay Club and will be on a first come basis. As always this is a free program and all children are welcome! Resuming back to regular hours! The Wawa Public Library next monthly Board Meeting will be held on Monday, December 17that the Wawa Public Library beginning at 7:00 pm. All are welcome to attend!